While some things that contribute to the development of diabetes are beyond a person’s control, there are also a number of modifiable risk factors. By making healthy changes in some areas people can reduce their risks or delay the development of type 2 diabetes and improve their overall quality of life. 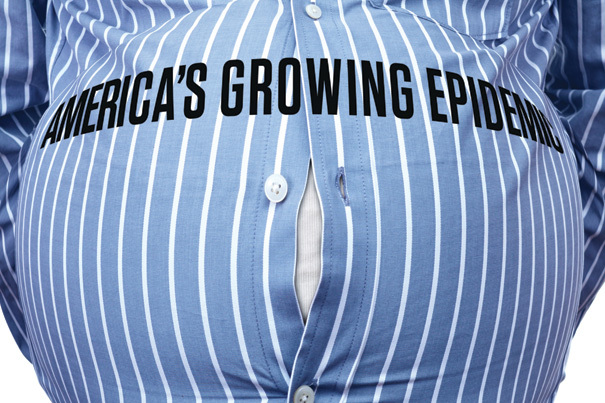 Obesity and weight gain are risk factors. Most of the food you eat is turned into glucose, or sugar, for your body to use for energy. The pancreas, an organ near the stomach, produces a hormone called insulin. This hormone is necessary for the body to be able to use sugar or glucose, the basic fuel for cells in the body. Insulin’s role is to take sugar from the blood into the cells. When your body does not produce enough insulin and/or does not efficiently use the insulin it produces, sugar levels rise and build up in the bloodstream. This can bring about the deadly disease diabetes. When was the last time you were happy to see a scale? Chances are never. We live in a society that is obsessed with weight, size and appearance. Everywhere you turn there is a billboard, advertisement or constant reminder that you need to lose weight. America is one of the largest countries in the world, and I don’t just mean our geographical size. Compared to our neighbors across the sea, we are grossly overweight. Europeans refer to us as undisciplined, Japanese say we lack balanced nutrition and even our own congress has been active over the last five years passing laws requiring our schools to give our kids a better choice. With all this, fast food chains are still popping up by the thousands all around us. There seems to be no end or solution in sight. Celebrities like the Kardashians, Jennifer Hudson, Janet Jackson and the First Lady of the United States have shared their personal journey and tips on how to shed pounds. What has become a multi- billion dollar industry through infomercials, promoting pills, shakes and television ads, the weight loss industry is booming. But there is a dark side to wanting to be thin. According to the American Physicians Journal, eating disorders have grown significantly in the last 25 years. In fact, 1 out of every 6 teenage girls is involved in some form of weight loss without the supervision of a doctor. This opens the door for dangerous extremes which lead to bulimia, anorexia and overdose of diet pills. It’s one of those touchy subjects we lightly research. Maybe because deep down inside we all are willing to do whatever it takes to look good. Eat to live, not live to eat: We all like our down home cooking right? Smothered pork chops, deep dish pies and other tempting desserts. Our problem is we have no moderation. We devour large portions of foods low in nutrients and empty calories simply because they are pleasing to the tastes. The objection must shift to view eating as an extension of living, not the other way around. Go organic: Find foods that are alive. Fruits and vegetables in their raw state provide powerful antioxidants and vitamins your body craves. It’s time to balance our meals with a better quality of things. Organic foods have no preservatives or artificial ingredients. When these things hit your body’s system, they break down faster and provide fuel for your day. Skip the drive-thru: I am guilty of this more than anyone else! The dreaded drive-thru, it’s convenient, cheap and they have all the bad stuff you’re not supposed to eat. As you drive down the block, they are everywhere calling you toward them. But experts say if you can manage to skip this major temptation, your body will thank you. These foods take 10 times longer to digest and just sit inside you absorbing healthy nutrients from your body. Pack it and save a bundle: The biggest complaint I hear is that eating healthy is too expensive. One alternative may be to visit your local produce junction and stock up on healthier snacks. Use your time the night before to cut, chop and bag your items. So when you are at work or in the car you have a cheap snack at your finger tips to munch on when hunger strikes. Walk it out: Take the stairs, skip the escalators or better yet, park a few spaces further at the mall. Every time you make the effort to walk a little more you are adding to a healthier tomorrow. Why not organize a walking buddy system at work this week? You all can keep each other accountable to your commitment to eat and be healthier. It has been proven that you get better results with another person helping you. These are a few simple things you can do today to start a healthier life. We live in a world of hyper-consumption; everyone wants the next best pill to make them look like a celebrity. But that’s just not realistic. Living and looking healthier takes time and commitment. It can be done, and you can finally face those scales with a new found confidence. You’ll lessen your risk for the deadly disease called diabetes type 2 and there will be no need to apologize to your heart for the added weight. Obesity and weight gain are two of the biggest factors in diabetes. 9 Responses to "Obesity and Weight Gain Big Risk Factors for Diabetes 2 [Video]"
Vitamin D deficiency is a giant factor in diabetes that was not mentioned by the article. Individuals who get adequate sunlight (difficult to achieve) or take a daily high-dose supplement (easy to do) don’t get diabetes. For children 2 to 18, 2,000 iu per day of D3 is a safe high dose. For adults, 4,000 to 6,000 iu per day is a safe dose. The goal is to achieve a 25(OH)D test result of around 50 ng/ml (125 nanomoles/liter). All auto-immune diseases are ameliorated by high doses of Vitamin D including diabetes, hypertension (high blood pressure), rheumatoid arthritis, multiple sclerosis, congestive heart failure — the list is almost endless. The cost of Vitamin D is very low, and Vitamin D has made inroads on some of the costliest pharmaceutical cures, so big pharm and for-profit medicine are not interested in promoting Vitamin D, but you, reader, should be taking it. It would have been a better article had it actually explained how one contracts diabetes due to being overweight. I thought that was what it was going to be but it only seemed like it was going there then abruptly changed course to talking about eating disorders. The ee wnt 5 minutes of my life I’ll never have back, but what did I expect for free? This would be a better story if it was made clear that the article is about Type 2 Diabetes. Obesity is not linked to Type 1 Diabetes … And before any Type 2s out there say they “went from Type 2 to Type 1,” they didn’t. What happened was their Type 2 got so out of control that they became insulin dependent. Type 1 Diabetes, which is an autoimmune disease that is (again) not tied to lifestyle always results in insulin dependency. This report is an obvious proof for many years, yet ignored or refused to believe by millions because of their addiction to the most dangerous drug in the world – SUGAR! This just in, water is wet. News at 11. Really?being fat can cause diabetes, next thing you know is they’ll call obesity a disease. If obesity is an epidemic than its response should be treated with equal voracity, like a virus. . K-12 physical education. Every day. Every year. We worry that our children won’t have enough history or math but the truth is, in 10 years only a few of our children will care about what happened in the American Civil War or how to draw a parabola. But if we could insure that our children will be exercising in 10 years, well, that makes sense.